The Maine Department of Health and Human Services violated federal law when it spent $13.4 million earmarked for low-income families with kids on services for the state’s elderly and disabled residents. After the BDN first reported on the misspending in June, the department disputed it but then quietly reversed its unlawful spending to align with federal law. When Maine State Auditor Pola Buckley last week issued a finding confirming the department’s misuse of $13.4 million in federal grant money, Maine DHHS still refused to fess up and take responsibility. Instead, the agency responded to the rare audit report in part by professing ignorance. 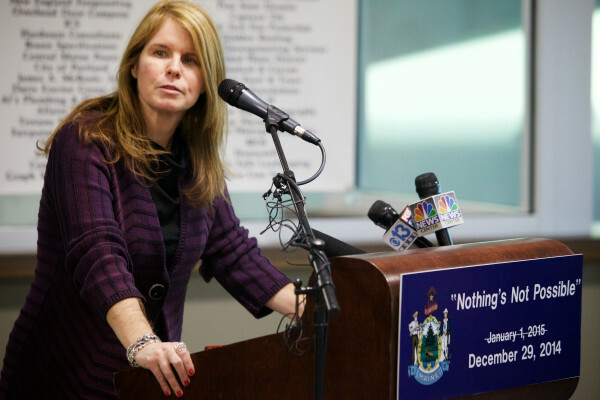 “We’re still waiting for clear guidance from the federal government that we’ve really yet to receive,” Health and Human Services Commissioner Mary Mayhew claimed last week during a talk radio appearance. But Maine DHHS didn’t seek that guidance from federal officials until Aug. 15. The department sought it well after it began to misspend federal funds in 2015, more than two months after the BDN first reported on the misspending and weeks after the department reversed the unlawful spending. In other words, the state agency misspent federal money, was called on it and only then decided to ask its federal overseers for legal clarity. There’s no way, as DHHS claims, that not receiving guidance “factored prominently into the Department’s decision to reverse the transfers.” After all, the department hadn’t even sought guidance before reversing its unlawful spending. The Aug. 15 request for guidance came from Maine DHHS Chief Operating Officer Sam Adolphsen. DHHS received a response on Oct. 13 from Jeannie Chaffin, director of the Office of Community Services within the federal Administration for Children and Families, which reiterated the legal restrictions on the money DHHS misspent. Why the state needs guidance interpreting that sentence is confounding. “In this case, the law could not be plainer,” David Super, a Georgetown University law professor who specializes in antipoverty programs, said. The larger point is that Maine DHHS has, at every step of the way, continued to sidestep the truth and avoid taking responsibility for a violation of law. On top of that, Maine’s state auditor has highlighted a serious lapse in the way DHHS manages the federal funds it’s entrusted with spending according to the law. DHHS is committed to its political agenda, but the agency’s dishonesty and carelessness in carrying it out are beyond disgraceful.